October 25 is Silent Mora's birthday! Issue_Two, below, is a birthday tribute issue to Silent Mora from 1962. It includes an article by Mora about imitation (p. 4) that is short and sweet. 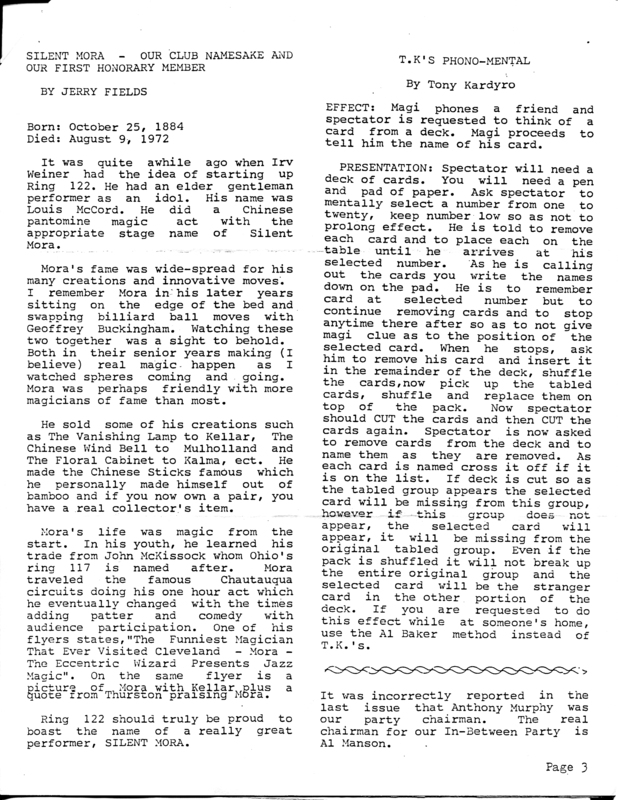 The file, mora_ob016, is a Mora tribute in the Silent Messenger, November 1985, written by Jerry Fields, that adds color and detail to Mora's life. Thanks to compeer David Phillips for all the drawings used on this site.